Matt Jones (Fremont artist and entrepreneur) founded Mashed Potatoes.org and with a handful of close friends, they launched their first Passion for Mashin' party in November of 2004. The free hunger awareness parties are held monthly in Jones's Gasworks Gallery, which is located in the big blue JONES building, in Wallingford. 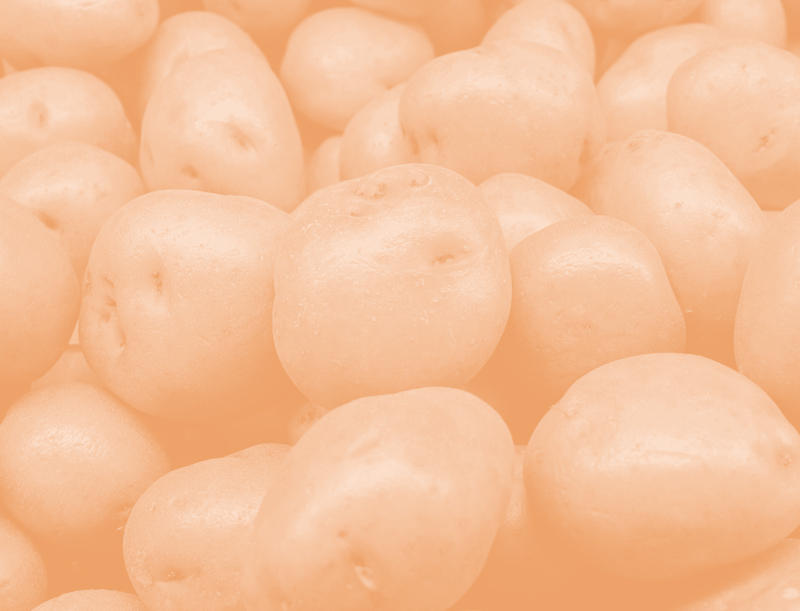 Why the name “Mashed Potatoes”? Because Jones believes that mashed potatoes are the king of comfort food or as he puts it, “the top of the food chain of cool”. 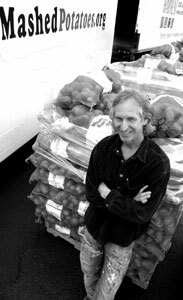 Jones began delivering large quantities of potatoes to food banks several years ago around the holidays. He felt that no one should go without mashed potatoes, particularly during the holiday season. Matt (having launched several successful businesses over the years) is living out his dream of being an abstract expressionist painter. Jones opened Gasworks Gallery only 3 months after his first stroke and was showing large pieces in Blue Chip galleries in Beverly Hills and Laguna Beach within the first year of his career. Jones (who openly admits to having no formal art training) has often been referred to as a modern day, "Jackson Pollock". Matt renovated the 5000 sq ft Jones Building in 2004 and built Gasworks Gallery to show his large (often 8 feet tall) abstracts in the glory of a large space. The adventuresome spirit and leadership qualities of Matt Jones were demonstrated at a very early age. Having owned and operated several successful businesses prior to entering college, Matt experienced the excitement and challenge of a free thinking entrepreneur years before most students had considered taking basic jobs. Following a move to Seattle and several successful years in business, Matt developed an urge to travel and explore the more remote regions of the world and joined the executive staff of Society Expeditions. Matt, along with a highly skilled team of adventurers and lecturers, led expeditions throughout 70+ countries including 8 Antarctic Expeditions, 200 islands in the South Pacific and over 5000 miles of the Amazon River. Matt continued three years of study on board ship in the area of natural science and ended his tour as expedition leader for Northern Africa.